I was assessing my CD recordings of Wilhelm Furtwängler and I have 200 entries (by label) for the man, who died in 1954. Some of these are multi-CD sets, which means there are considerably more than 200 discs alone. These CDs are on many labels, very heavy on DGG and EMI (a Decca or two, and Testament), and a huge number of live- and reissued recordings on too many labels to count. The thought occurred to me: I wonder how Furtwängler would feel today if he could know the impression he has made on the musical world so long after his passing. The same would apply to Toscanini (who died in 1957) or just about any of the greats of the greatest-known performing artists/musicians. The craze for Furtwängler doesn't seem to have abated. Even given 78-rpm discs and non-stereo recordings ... the man still sells! Furtwangler had very individual ideas about how to make music, which go against everything I studied at Juilliard, which was Toscanini's way. I've grown more accepting of Furtwangler's unmarked accelerandi and tempo choices, but I rarely listen to his performances just out of personal preference. Certainly I don't know any famous conductor today besides Gergiev who is following in Furtwangler's footsteps, yet his recordings continue to sell, so his inventive musical ideas are very much with us. I recently acquired a Bruckner IX recorded on German tape machines in 1944 and, after getting over my annoyance at Furtwangler's intrusions, I found the performance electrifying: I'll probably return to it from time to time. The sound quality was more than acceptable, btw. Of course I have Furtwangler's Tristan and his Otello, and find them both superb, but he didn't take liberties with the tempi marked in the scores as he did in other repertoire, such as Schumann IV, Bruckner and Tchaikovsky VI. I believe Furtwängler had a pretty high idea of his influence while he was still alive. But the literalistic modern style of interpretation, exemplified by Toscanini and brought home to him during the New York Philharmonic's sensational European tour of 1930, made him angry, as some of his writings make plain. So I think he wouldn't find much to approve, let alone admire, in our music-making today. What he might say about the HIP movement probably wouldn't make it past the CMG's autocensor, if that's still turned on. The musician who has shown Furtwängler's influence most clearly, and indeed has spoken about it himself, is Barenboim in his conducting. I wouldn't say that of Gergiev, whose performances are distinctive but not in a Furtwänglerian way. I know next to little about historic recordings and performances but have to disagree about HIP. Some of those performances have been a revelation to me compared to most conventional performances post 1960s. But I have Arthur Schoonderwoerd playing Beethoven 5 Piano concertos with virtually a chamber ensemble and they absolutely bug me beyond belief. 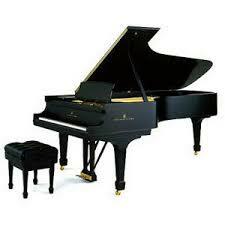 The piano itself seems un-tuned, clunky and thin and the strings whiny and not played well at all. It's a cult-following type recording. What in the world was he trying to prove? Give me a break!!! I'm going to give them away as a 'special prize' at our music group. Some of those people might like it; I really don't know. But a wasted boxed set from a not-significant musician. I'm more of a Ronald Brautigam fan. One HIP fiasco I detested was Roger Norrington conducting at the Proms a couple of years ago Brahms Symphony #1 as a HIP piece with lean bowings and new phrasings with a now re-assigned/amalgamated Bavarian orchestra (name forgotten). Some people have argued that it was more like the kind of sound and style Brahms would have known when he composed that symphony. I remain unconvinced. I like my Brahms the way I like my Christmas pudding; heavy on brandy with lashings of double cream!!! Lots of people think well of HIP performances and recordings, including some eminently respectable critics - Andrew Porter, for one. I'm not saying they (or you) are wrong, though personally I believe it's a wrong turn. Indeed, all I was saying is that Furtwängler, from what I know about his attitudes toward music as well as many, many recordings, would have detested HIP and given cogent reasons for it. In his essay "Bemerkungen zur Darstellung alter Musik" (1932), for example, he writes, "Gerade historisch gesehen, ist es daher völlig falsch, in unseren grossen Sälen - etwa der Berliner Pilharmonie - die zahlenmässige Originalbesetzung zu fordern" - Seen historically, it's completely wrong to demand the original number of instruments in our large halls, such as the Berliner Philharmonie. And much more. In "Interpretation: Eine musikalische Schicksalsfrage" he writes of performances such as Toscanini's, "Überhaupt is die ganze Theorie der 'notengetreuen Darstellung' viel mehr eine literarisch-intellektuelle als eine musikalische Konzeption. Sie ist im Grunde so uninteressant, dass es sich kaum verlohnt, Worte an sie zu wenden" - The whole theory of literal fidelity in performance is much more a literary and intellectual conception than a musical one. It is basically so uninteresting that it's hardly worthwhile putting into words. If Toscanini's "intrusions" are less striking than some of Furtwängler's, I believe that may reflect his discomfort with this kind of music - he performed Bruckner seldom, and never after 1935. His flexibility in this performance may give an idea why he was such a master of Wagner's music. That and the fact that Toscanini was first of all a man of the theatre, where rigid inflexibility just doesn't work. We know now that Furtwängler lost the argument, but many recordings of his performances show what he meant by what he said - he preached what he practiced. Furtwängler was himself an intellectual. His father was a distinguished archaeologist and a university professor, and he wrote many essays and a small book about aspects of music. His interpretive decisions were not based merely on emotional impulse; as David Hamilton has argued, they arise from structural and other elements in the music itself. They connect with a long tradition of music-making, transmitted orally across many generations; Beethoven was noted for the flexibility of his piano playing. Toscanini was, if anything, an anti-intellectual; he notoriously disrespected these traditions and made a decisive break with them. Strict obedience to the musical text and HIP, its present-day extension, are relatively easy to teach and learn in school. Interpretive freedom such as Furtwängler's is today impossible to teach academically; it can only be absorbed with traditions that, unfortunately, have now died out. All that is left are old recordings by those who practiced them. That's why some of us collect those recordings, and maybe why some of us don't. In my retirement, I've become more accepting and less dismissive of Furtwangler's music-making. It's not what I was taught, and Toscanini had his reasons for promulgating a certain universal way of making music. First and foremost, it takes less rehearsal time to prepare an orchestra, and in this jet age where conductors fly in and out of cities at a moment's notice, having a universal understanding of how music should go saves enormous preparation time. It also makes the musicians, both conductor and orchestra, more confident in the concert, knowing they're "doing the right thing." As for Gergiev sounding like Furtwangler, I was referring to Gergiev's recording of Tchaikovsky VI, which is a taffy-pull of tempo changes just like Furtwangler would do. Thanks, John F, for that comprehensive take on HIP and all its implications. I read Harnoncourt's books in the 1980s when I first became interested in this and, as I've said, I do prefer many performances now on instruments of the period. Some of them aren't so good also; unstable intonation, excessive speed and poor balance can often mar performances. I do find myself listening to Fischer-Dieskau/Moore rather more in this repertoire nowadays. Ah, for me, the Fischer-Dieskau/Moore collaboration is something to have been made in heaven! Their recordings together are, indeed, very, very special. Have you read Moore's autobiography, "Am I too Loud?". I haven't. Gradually checking out the Furtwängler recordings and John F's suggestions about Schnittke. Slowly. Yes, I've read all of Gerald Moore's books. They are wonderful reading and very hard to put down once started. There was also an EMI recording (reissued on a Testament CD) called Am I Too Loud. Very precious recording with Moore's own vice and musical examples. Now there's a good thought/idea/suggestion for one of your programs. Highly recommend ANYTHING by Gerald Moore. Moore made an arrangement for piano alone of Schubert's song "An die Musik" and recorded it for HMV. The BBC used it in the 1950s as theme music for one of its classical music programs, and Moore played it to conclude his farewell recital. Of the great conductors none has created more controversy than Wilhelm Furtwängler (1886-1954). His unique conducting style, remarkable alike for his flexible tempi and intuitive interpretations, attracted fanatical admirers and repelled others. To Furtwängler a musical score was a blueprint for the imagination. Above all he loathed routine. At every concert he demanded that his orchestra (whom he regarded almost as chamber musicians) should give a 'first performance'. He retained this freshness of outlook to the end. Controversy also dogged his personal life. Steeped in the tradition of his great predecessors, Furtwängler was spiritually a man of the nineteenth century, to whom German culture was an overwhelming force, and when the Nazis came to power he refused to leave Germany. This attitude was sadly misinterpreted. No German did more to show his contempt for the Nazis or to help his Jewish colleagues, often at great personal risk. Yet the taint of collaboration never left him, particularly in America where he had fallen foul of the musical and social establishment, which he despised. This book, by a professional conductor who first heard Furtwängler as a boy and later came directly under his influence, is the first biography in English to set the record straight. It does full justice both to Furtwängler's political courage and to his musical genius, as conductor and composer. The resulting portrait is of an intensely private and unassuming man whose outstanding creative gifts were totally absorbed in the art he loved. Schönzeler's little book is worthwhile for its final chapters on Furtwängler's compositions and his conducting style. For the life and historical context it is less full and less up to date than Shirakawa's biography, provocatively and misleadingly titled "The Devil's Music Master." I also have some books in German about Furtwängler, collections of his writings, letters, and notebooks, and complete annals of his performances and recordings from Tahra. These are just a sampling of the many books and articles about Furtwängler but I think they are enough. I have The Devil's Music Master (lousy title, I agree!) and enjoyed it, and John Ardoin's book The Furtwängler Record, Berta Geissmar's Two Worlds of Music, and Bernard Gavoty's bio and picture book, Wilhelm Furtwängler. There's a couple of other books with condensed information about the conductor. I'll let you know about the Schönzeler book, which I didn't know about until very recently. Maybe I should just be content with Shirakawa's book. Actually, I looked into the Schönzeler book last week at the library, by coincidence. Either he or somebody said that his advantage in writing about Furtwängler was being a professional conductor himself - he's made several recordings, including one of Bruckner which I have. And I agree that this shows in his chapter on Furtwängler's conducting style. I too have read all Moore's books, Am I Too Loud 3 times. He is a good raconteur, and comes from a time when tell-all was not the style. Lance, what a gossip you are. What is Moore's vice? I am all agog! Well, really not a "gossip" (maybe just a little when it comes to the lives of composers and performers!) and it is only because I am fascinated by these wondrous people. His vice? Hmmm, he smoked (but that's not news - so did Fischer-Dieskau). So ... well, you will have to keep reading. He was also a real gentleman, but more, quite possibly the finest pianist collaborator to singers that ever lived making recordings and appearing on stage. [I too have read all Moore's books, Am I Too Loud 3 times. He is a good raconteur, and comes from a time when tell-all was not the style. The book Furtwängler by Hans-Hubert Schönzeler arrived yesterday. It has a forward by Yehudi Menuhin. 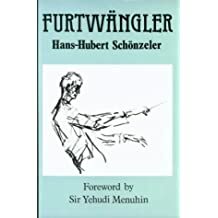 First published in 1990, I don't know why I didn't realize it existed since I am a great fan of Furtwängler and it is one of the few in-depth books in English about the conductor. I am delighted to have it and have already begun reading it. Hans-Hubert Schönzeler, himself a conductor who knew Furtwängler, was born in 1925. He died in 1997 in England. Gerald Moore's recordings with singers, particularly Lieder, are certainly very fine, but his recordings of sonatas etc. with instrumentalists are not so special. They're also not so numerous; Moore and/or the record companies recognized his special strengths and focused on them. Even in the art song repertoire, other pianists have provided revelations quite different from Moore's and no less important. I'm thinking, for example, of Schumann's "Dichterliebe" by Charles Panzera with Alfred Cortot. This is one of the most beautifully expressive recordings of anything that I know. The book, Furtwängler by Hans-Hubert Schönzeler, arrived yesterday. It has a forward by Yehudi Menuhin. First published in 1990, I don't know why I didn't realize it existed since I am a great fan of Furtwängler and it is one of the few in-depth books in English about the conductor. I am delighted to have it and have already begun reading it. Hans-Hubert Schönzeler, himself a conductor who knew Furtwängler, was born in 1925. He died in 1997 in England.